NOTE: Above sizes are indicative only and we can supply feeders of any size to suit the application. The ‘HAWK’ Brute Force Vibrating Pan Feeder is a robust welded frame construction either suspended or floor mounted. They can be used in constant load feeding to crushers or extraction from hoppers or surge piles inclined 5-12 degrees using twin motor drives contra rotating giving a linear motion. The motors come with adjustable degree counterweights to change amplitude. The frame can be supplied to take screening media (feeder screener) for light materials and dust sealing arrangement. Note: Additional sizes available on request. Extra heavy duty Vibrating Grizzly Feeders are designed to handle large rocks at high capacity at continues rate fitted with high wear resistance grizzly bars with adjustable gap and wear resistance liners to all areas exposed to rock. They can be used as primary feeding units located horizontally under ore bins/hoppers or inclined from 5-10 degrees using a double geared contra rotating eccentric shaft linear motion oil lubricated mechanisms running in large spherical bearings with adjustable counterweights with the mechanism situated underneath the machine. Totally enclosed dust sealing arrangements are available. 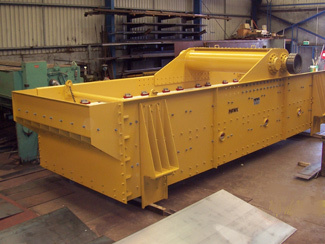 The ‘HAWK’ HiFeed vibrating grizzly feeder wholly manufactured in Melbourne Australia is a robust welded frame construction and comprises a flat pan impact area and grizzly bar section for separating fines from larger material before feeding into the primary crusher. They can be used as primary feeding units located horizontally under ore bins/hoppers or inclined from 5-10 degrees using a double geared contra rotating eccentric shaft linear motion oil lubricated mechanisms running in spherical bearings with adjustable counterweights with the mechanism situated underneath the machine. 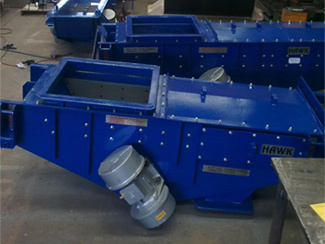 The ‘HAWK’ HiFlow high frequency Dewatering vibrating screen wholly manufactured in Melbourne Australia is simple and strong in construction and is made up of individual components which are bolted together with high tensile steel bolts. Each and every part can be replaced at the worksite without any special tools. 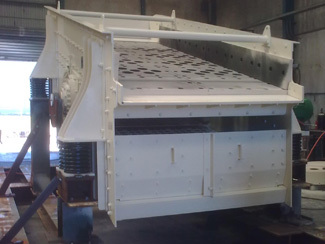 They can be used as trash, de-sliming or dewatering screens in single or double deck design in a horizontal position or inclined to 10 degrees using twin motor drives contra rotating giving a linear motion situated over the screen body. Deck frames can be supplied to take various types of screening media either side tensioned, bolt down or modular systems and ball decks. 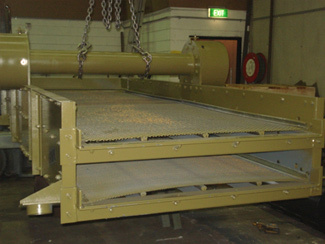 The ‘HAWK’ HiFlow horizontal vibrating screens are wholly manufactured in Melbourne Australia, simple and strong in construction and are made up of individual components which are bolted together with high tensile steel bolts. Each and every part can be replaced at the worksite without any special tools. They can be used as primary, product or dewatering screens in single, double, or triple deck design in a horizontal position or inclined to 10 degrees using a double geared contra rotating eccentric shafts with counterweight adjustment giving a linear motion running in large spherical bearings oil lubricated mechanism situated over or through the screen body. Deck frames can be supplied to take various types of screening media either side tensioned, bolt down or modular systems and ball deck. 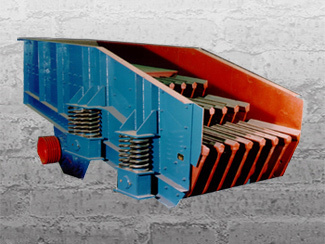 The ‘HAWK’ HiLite vibrating screen wholly manufactured in Melbourne Australia is simple and strong in construction and is made up of individual components which are bolted together with high tensile steel bolts. Each and every part can be replaced at the worksite without any special tools. They can be used as light duty primary or finished product screens in single, double, or triple deck design with inclines from 15-30 degrees using single shaft centrifugal circular motion mechanisms running in large spherical bearings grease lubricated situated over the screen body. Deck frames can be supplied to take various types of screening media either side tensioned, bolt down or modular systems. 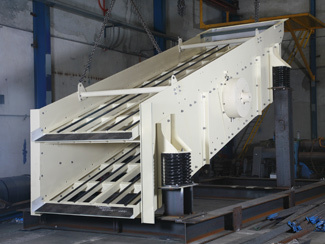 The ‘HAWK’ HiScalp vibrating screen wholly manufactured in Melbourne Australia is simple and extra heavy duty in construction and is made up of individual components which are bolted together with high tensile steel bolts. Each and every part can be replaced at the worksite without any special tools. They can be used as XHD primary or scalping screens in single or double deck design with inclines from 15-30 degrees using single or double shaft centrifugal circular motion mechanisms running in large spherical bearings grease or oil lubricated with the mechanism passing through the machine side plates. Deck frames can be supplied to take various types of screening media, usually grizzly bars or punched plate or modular rubber decks. 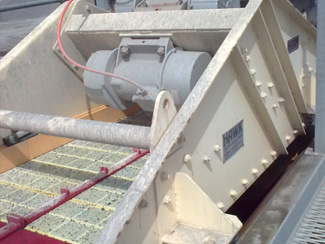 The ‘HAWK’ HiTon vibrating screen manufactured wholly in Melbourne Australia is simple and strong in construction and is made up of individual components which are bolted together with high tensile steel bolts. Each and every part can be replaced at the worksite without any special tools. They can be used as primary, scalping or as finished product screens in single, double, triple or four deck design with inclines from 15-30 degrees using single or double shaft centrifugal circular motion mechanisms running in large spherical bearings grease or oil lubricated with the mechanism passing through the machine side plates. 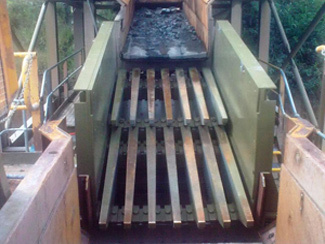 The screens designed as Quarry or Mining standard to be able to operate continuously 24 hours per day, 7 days per week.